Note from shop owner Hey everyone! Rainbow Handmade Store is temporarily closed because we will be going on vacation. We will reopen in a couple of weeks! Please come back and visit soon. If you have any questions, please message us and we will get back with you as soon as possible. Thank you so much for support our family business! Hey everyone! Rainbow Handmade Store is temporarily closed because we will be going on vacation. We will reopen in a couple of weeks! Please come back and visit soon. If you have any questions, please message us and we will get back with you as soon as possible. Thank you so much for support our family business! A great activity for a busy tot! Shipping was very speedy too! Bought several things from this seller and love them all!! Great quality. Highly recommend!! Great quality and super fast shipping!! Highly recommend! Great quality! Great packaging! Fast shipping! 10/10! My son loves this puzzle! Brilliant idea. The key to success is having a variety of fun Montessori-inspired learning activities for your little ones to enjoy! I'm so grateful that I'm able to homeschool my son and give him the time and space he needs to grow and succeed. 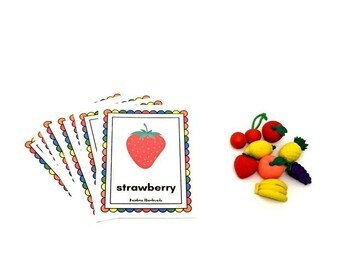 RainbowHandmadeStore is an autism friendly family business! Help us to spread autism awareness! Our mission is to help each child love to learn and reach their full potential through engaging Montessori-inspired learning activities. It all started when I gave birth to my beautiful rainbow baby. We were very happy that God gave us the privilege of enjoying a new gift of love full of hope. I was a teacher at that time and decided to quit my job to stay home with my baby. After a while I began to looking for some creative ways to make extra money as a stay at home mom. So that's when I discovered Etsy. I was studying the platform when I realized that the Montessori learning materials that I was already creating at home to support my baby's education could be sold on Etsy. This was an opportunity I could not pass up. So I started buying more materials and creating new models of learning games, and activities for toddlers and preschoolers. I never thought about having an online business. Much less imagined to be able to apply all the long years of university studies in education in this other facet of work that I found exciting and fun. Creating learning materials, and activities inspired by Montessori has become my new passion. All items are prepared with care and love in our workshop studio in Clermont, Florida. Our learning materials are designed to take advantage of the power of hands-on learning and meet the early childhood developmental needs. Each product model is tested by my rainbow baby who is now 4 years old and has autism. Many of our materials have been created from our own homeschool experience. They are quality resources you can use at home, school or therapy center. At RainbowHandmadeStore we work very hard to make sure that we send you Montessori-inspired learning materials that are safe, durable, portable, educational and fun for your little ones enjoy. Our mission is to help each child love to learn and reach their full potential with fun and engaging Montessori learning activities. When you purchase materials from our store, also you are supporting our homeschool project, and helping us to spread autism awareness! Your purchase really does make a difference! Thank you so much for stopping in! We sincerely hope you enjoy our products and the mission behind them! Hello! My name is Uldaliz. I am educator, Ed.D, wife, mom, passionate about young kids, early childhood education and who loves to make learning fun! Hi! I'm Yoyo! I’m four years old! I love to play and learn with all the fun activities that mom create! And I hope your kids love them too! We obey all applicable privacy laws, and take your data protection very seriously. We will not release your private information to anyone except as necessary to complete your order (for example, using your address to mail your order). 🌈We are not taking custom orders at this time! But feel free to send us a message with ideas of activities you'd like to see and we will try our best to make it happen! 🌈Any Montessori learning activity should be supervised by an adult. The learning materials we provide are safe when used properly. They are not toys to distract your child, but materials for parents, teachers, therapists or caregivers to use for their education. 🌈Products are packaged in clear, resealable bags and shipped in bubble wrap envelopes. Gift wrapping is unavailable at this time. 🌈 We do not currently ship outside of the United States; keep checking back to see if we have expanded our shipping locations.